Astilbe Purple Rain has a deep puple inflorescence over dark green foliage. 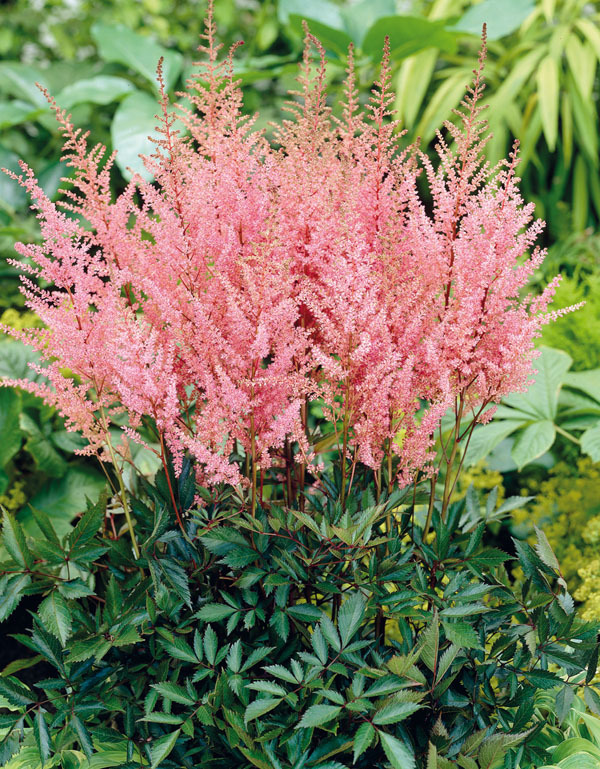 It does well in partial shade and looks great in a container. 1 2/3 eye div./pkg.